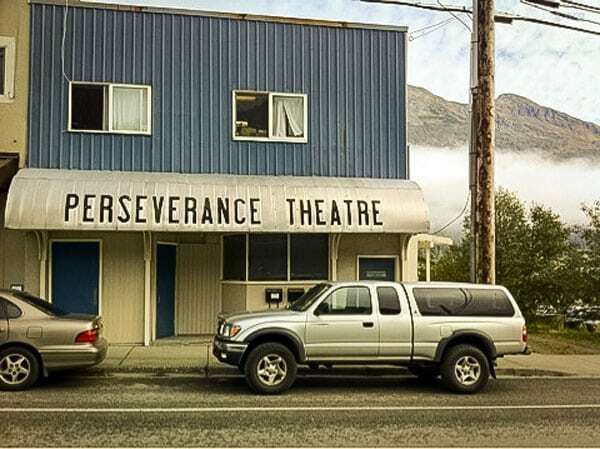 The Perseverance Theatre, founded in 1979 by Molly Smith, who left two decades ago to become the artistic director of Washington DC’s Arena Stage theater company, will launch its 40th anniversary season starting in October. But it almost didn’t get there. This past spring, however, Tran notes, the theater “company had been forced to cancel its spring show…had furloughed several employees, and was more than $200,000 in debt.” The risk of going under was real. A philanthropist and longtime friend of artistic director Art Rotch donated $200,000. A Perseverance subscriber gave another $207,000. A number of other large donations from the Doris Duke Charitable Foundation and other donors added up to $650,000, allowing the theatre to pay off its debts and build up a cash reserve, which had been depleted after years of budget shortfalls. The donors also issued a challenge to Perseverance’s donor base: to raise $100,000 more by September 30th. So far, the theatre has raised half. But how did the nonprofit theater get into financial trouble in the first place? Rotch, the theater’s artistic director, explains that an expansion of the theater to Anchorage nearly sunk the nonprofit. That idea may prove wise in the long term. But in the short run it created all sorts of problems. As Tran explains, performing in Anchorage required the theater “to truck crew, set, and artists through Canada, then via a ferry to the second location.” Tran adds, “Though the cost of performing in Anchorage was offset by ticket revenue, Rotch didn’t factor in the rising costs of production and some budgeted grants that didn’t come through.” According to its Form 990 filings, the nonprofit, which had been near breakeven (a $2,400 loss on $1.384 million in revenues in 2013), was $272,000 in the red in 2014 and ran a $450,000 deficit in 2015. The theater, notes Tran, recovered and posted “a small surplus this past season.” But, by that point, its cash reserves were gone. The new influx of money lets the nonprofit restore its reserves and plan more effectively for the future. This has involved adding two critical roles to staff—the theater’s first director of engagement and outreach, and a managing director. One of the conditions that donors placed on the new funds was that the money raised be used to support key hires that can help the theater develop a long-term sustainable business model. The outreach director was hired in June. The managing director hire was announced earlier this month. “For the past 10 years,” Tran notes, “artistic director Rotch had been overseeing both the art and money side at the theatre.” While donors pushed for the hire, Rotch says that he’s happy to have “a second pair of hands” to help run the theater. Joshua Midgett, formerly of the Contemporary American Theater Festival in West Virginia, is the new managing director. Midgett grew up in Juneau. In West Virginia, Midgett helped the festival go from a “five-figure operating deficit” to a “six-figure operating surplus,” Tran writes. In Alaska, Midgett tells Tran that he wants to generate revenue less from foundations and more from “audience contributions, subscriptions, and other earned income.” Midgett adds that with the theater now having dedicated staff for building the patron base, development, and budget management, the business side is in much better shape. NewsMatch, a three-year-old program designed to spur grassroots fundraising to nonprofit news organizations, brought in $7.6 million last year, more than half of the total it has raised since its founding.